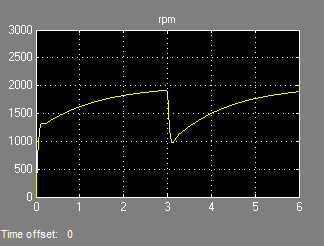 This example shows how to use the Control System Tuner app to tune the current and velocity loops in a linear electric actuator with saturation limits. You can use Control System Tuner to jointly tune both feedback loops. 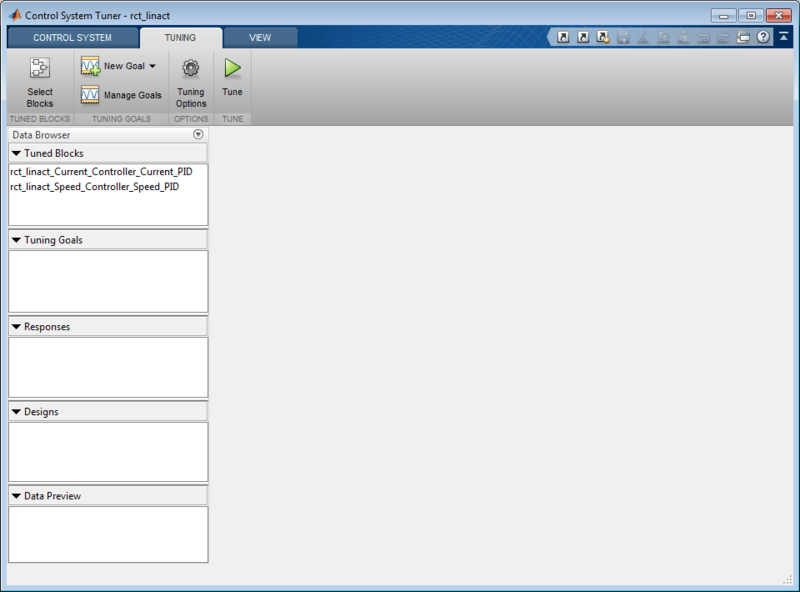 First, open Control System Tuner from Simulink Analysis Menu. Figure 3: Opening Control System Tuner. This opens Control System Tuner. Figure 4: Control System Tuner. Figure 5: Setting Operating Point for Linearization. Set the linearization snapshot time at t=0.5. Figure 6: Setting the Linearization Snapshot Time. In order to set the tuned blocks of the control system, open Select Blocks from Tuning tab. Figure 7: Tuning Tab of Control System Tuner. 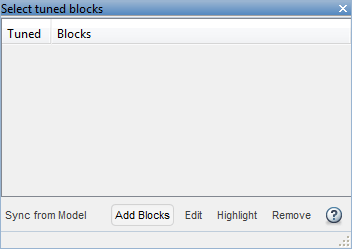 This shows the editor for tuned blocks where you can Add Blocks. 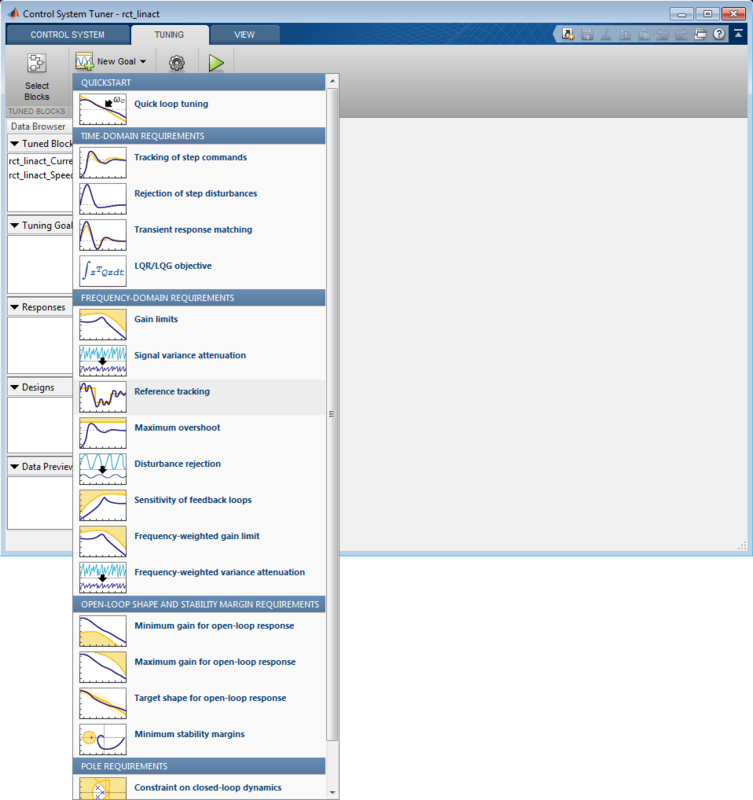 Figure 8: Editor for Tuned Blocks. Set the tuned blocks Current PID and Speed PID by navigating through the tree on the left. 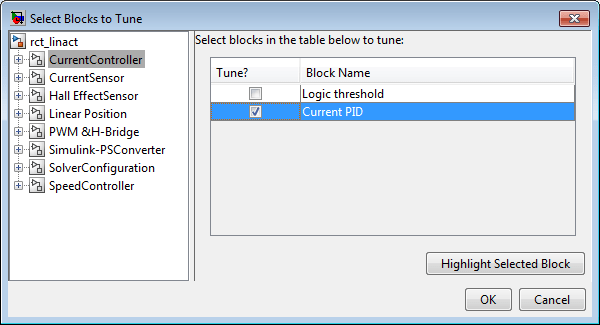 Figure 9: Selecting Tuned Block Current PID. 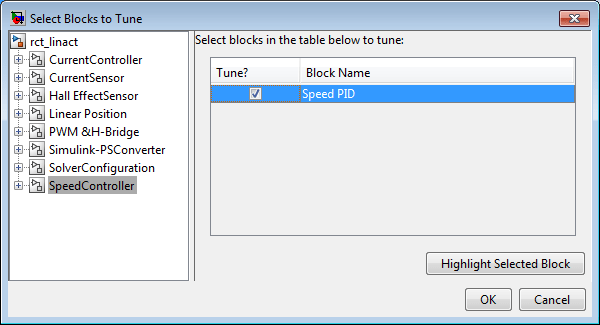 Figure 10: Selecting Tuned Block Speed PID. 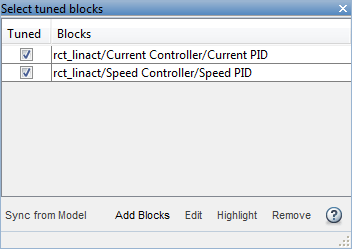 Selected tuned blocks Current PID and Speed PID show in the editor for tuned blocks. 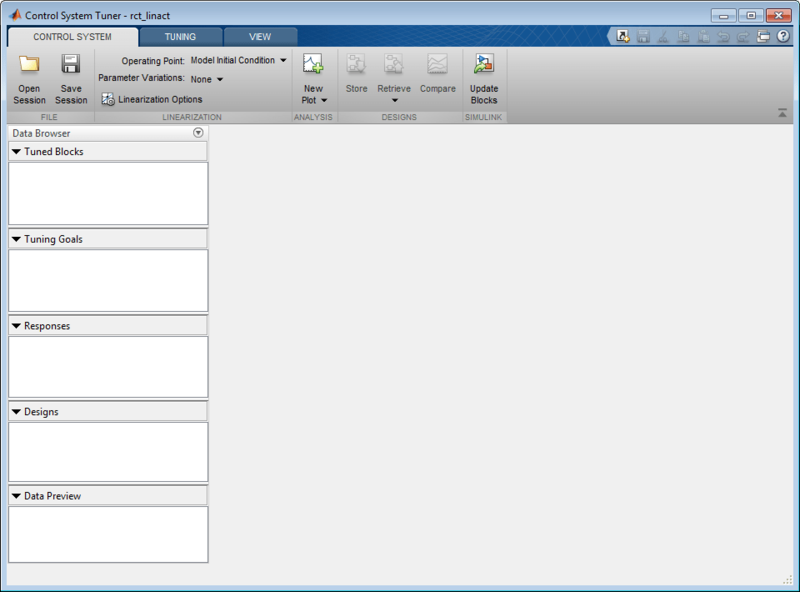 Figure 11: Editor Updated with Selected Tuned Blocks. They also appear in the Tuned Blocks section of Data Browser on the left side of Control System Tuner. Figure 12: Updated Tuned Blocks in Control System Tuner. Next specify the tracking goal that the DC motor should follow a 2000 rpm speed demand in 0.1 seconds. See different types of goals under New Goal and select Reference Tracking. Figure 13: Available Goals for Selection in Control System Tuner. Name the tracking goal as TR, specify the tracking goal from the reference input rct_linact/Speed Demand(rpm)/1 to the reference-tracking output rct_linact/Hall Effect Sensor/1[rpm] with the response time 0.1 seconds. 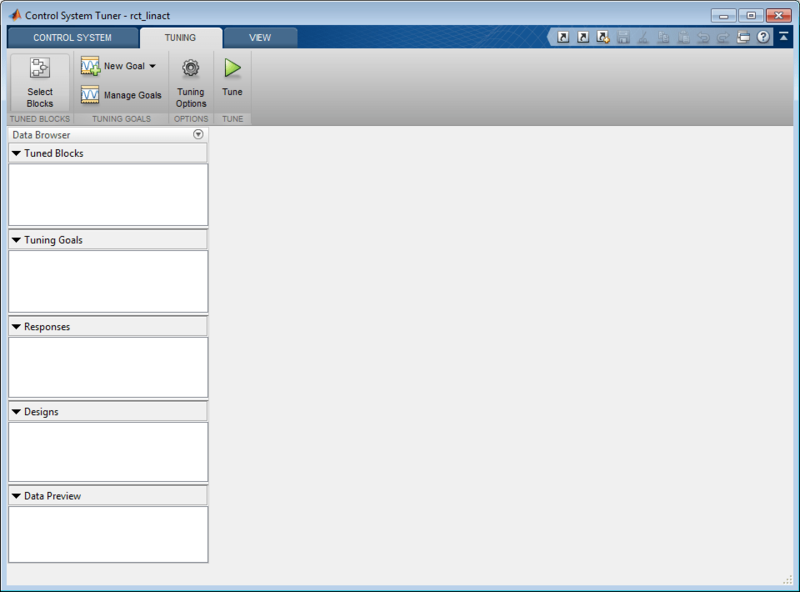 Figure 14: Reference Tracking Dialog in Control System Tuner. The plot for specified tracking goal appears in Control System Tuner and Tuning Goals section of Data Browser on the left side is updated. Figure 15: Tracking Tuning Goal in Control System Tuner. 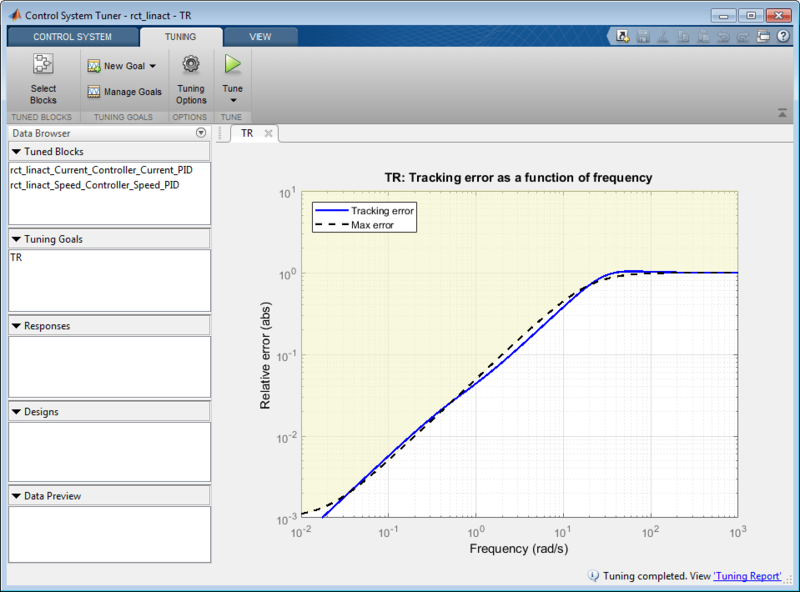 Figure 16: Updated Tracking Goal Plot with Tuned Blocks in Control System Tuner. Tuned blocks are updated with the tuned gain values. 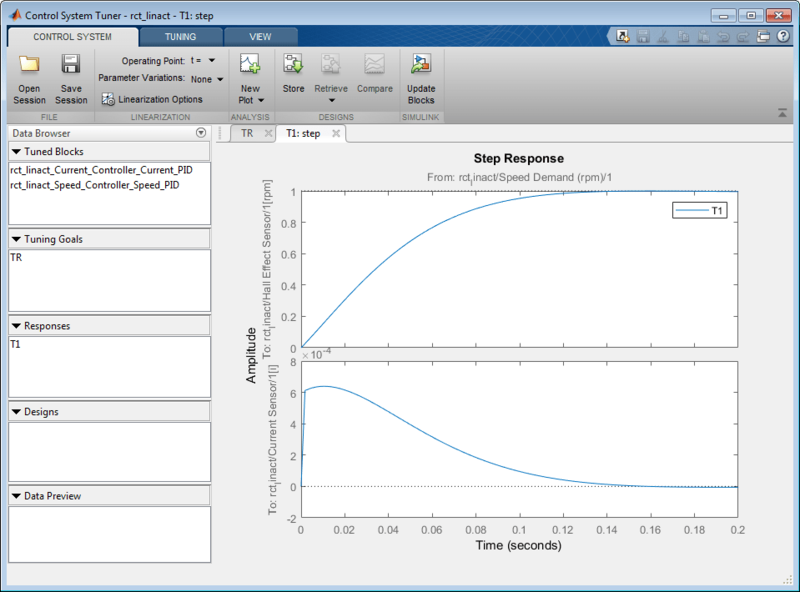 To validate this design, plot the closed-loop response from speed demand to speed from New Plot of Control System Tab. 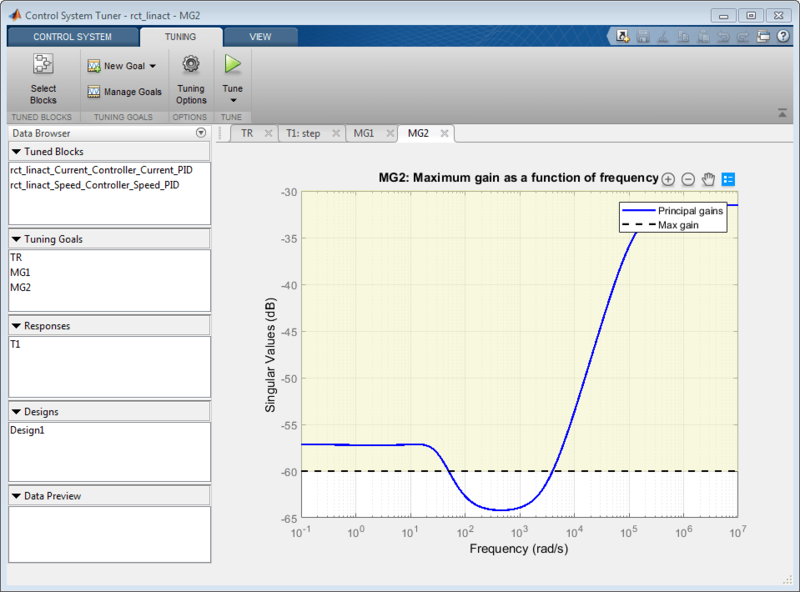 Figure 17: New Plot in Control System Tuner. 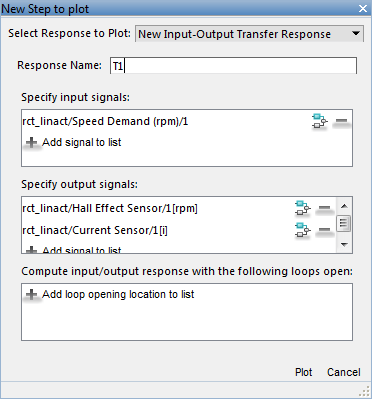 Specify the closed-loop response from speed demand to speed by the step plot dialog. 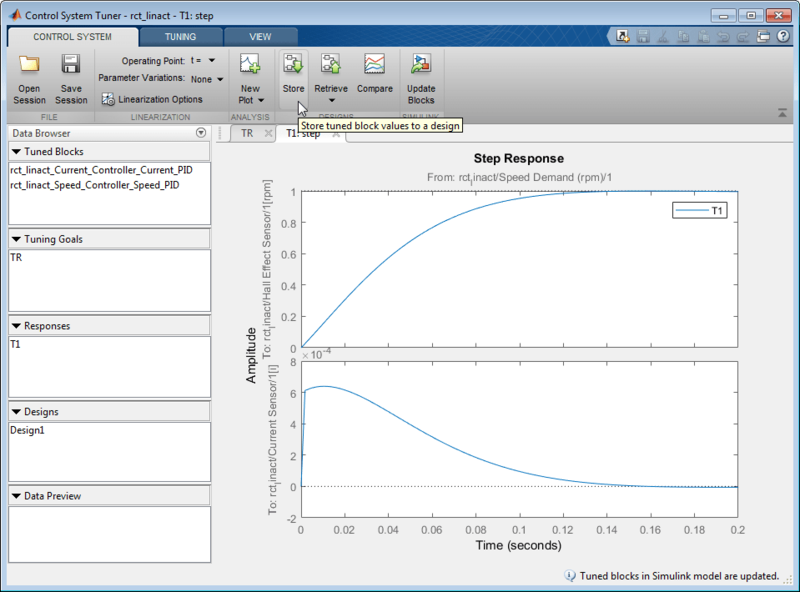 Figure 18: Step Plot Dialog in Control System Tuner. You see the step plot of the response in Control System Tuner. 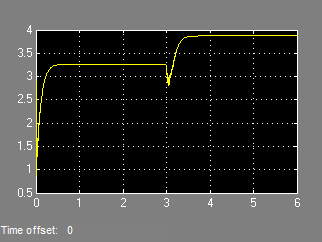 Figure 19: Step Plot in Control System Tuner. 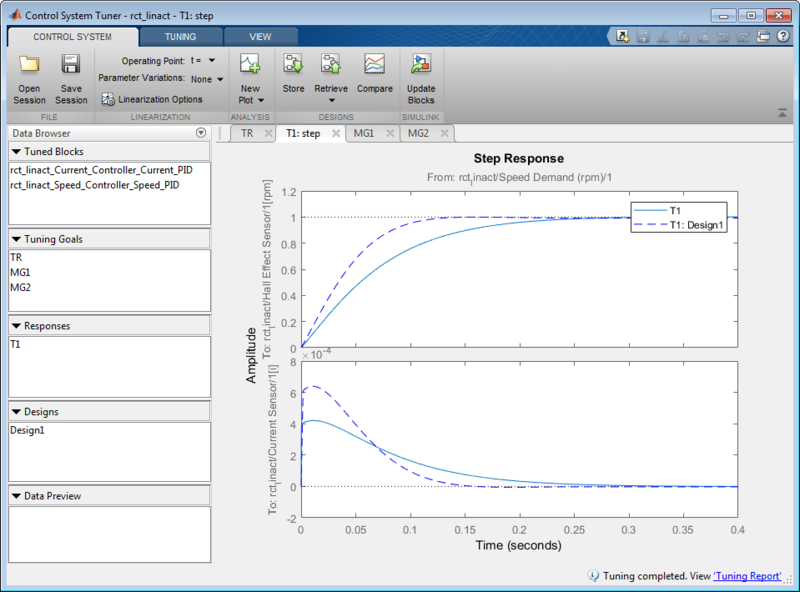 The response looks good in the linear domain so first store the current design by clicking Store and push the tuned gain values to Simulink by clicking Update Blocks and further validate the design in the nonlinear model. Figure 20: Stored Values of Tuned Blocks in Control System Tuner. The nonlinear simulation results appear in Figure 21. The nonlinear behavior is far worse than the linear approximation, a discrepancy that can be traced to saturations in the inner loop (see Figure 22). 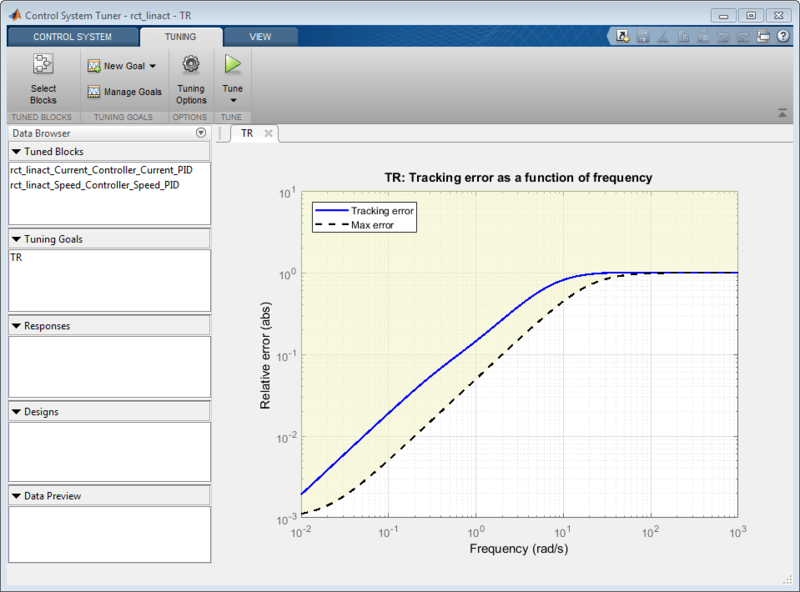 Figure 21: Nonlinear Simulation of Tuned Controller. Figure 22: Current Controller Output (limited to plus/minus 5). 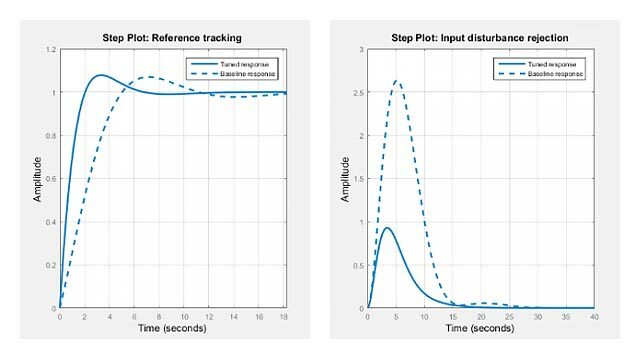 Limit gain from speed demand to control signals to avoid saturation by specifying two new goals from Tuning tab. 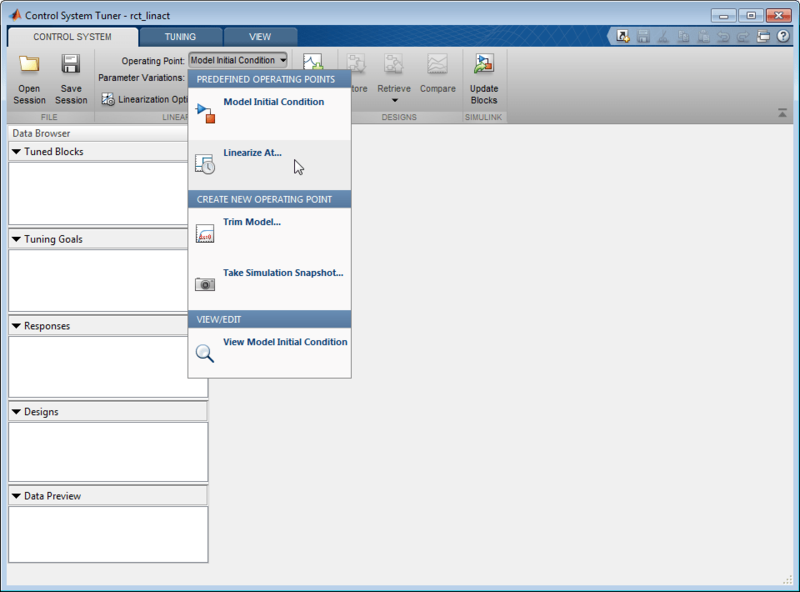 You need to select control signals from Simulink model since they are not defined previously. 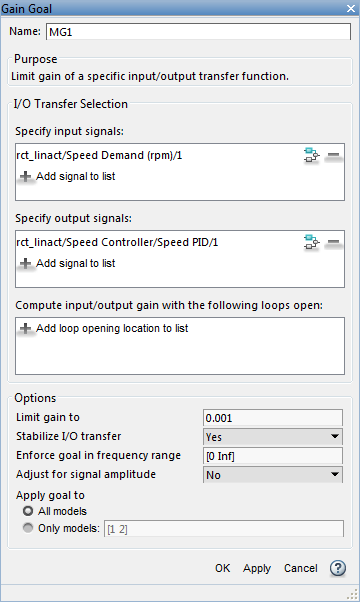 Figure 23: Gain Goal Dialog from Speed Demand to Control Signal of Speed PID. 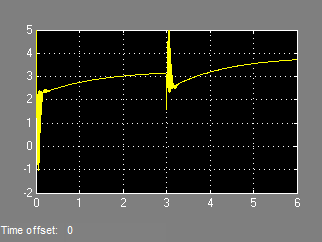 Figure 24: Gain Goal Dialog from Speed Demand to Control Signal of Current PID. New gain goals appear in Tuning Goals section of Control System Tuner. Figure 25: Two Gain Goals Added to Control System Tuner. Retune with these additional requirements. 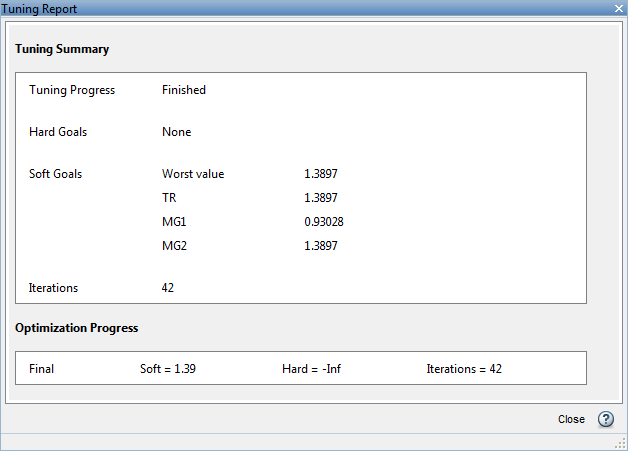 Tuning Report accessed at the bottom right of the tool shows the worst gain 1.39 indicating that the requirements are nearly but not exactly met (all requirements are met when the final gain is less than 1). Figure 26: Tuning Report After Retuning. 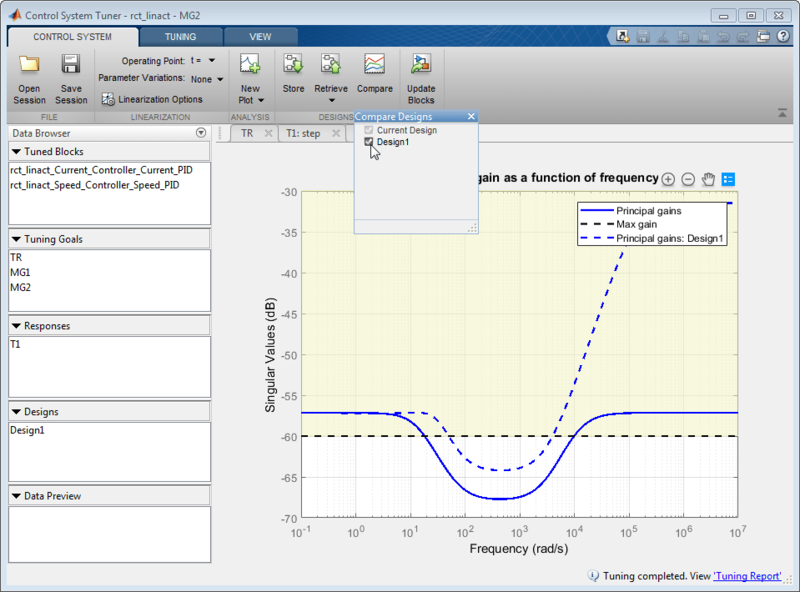 Next compare the two designs in the linear domain by clicking Compare in Control System tab. Figure 27: Comparing Two Designs. The second design is less aggressive but still meets the response time requirement. Figure 28: Step Responses of Two Designs. 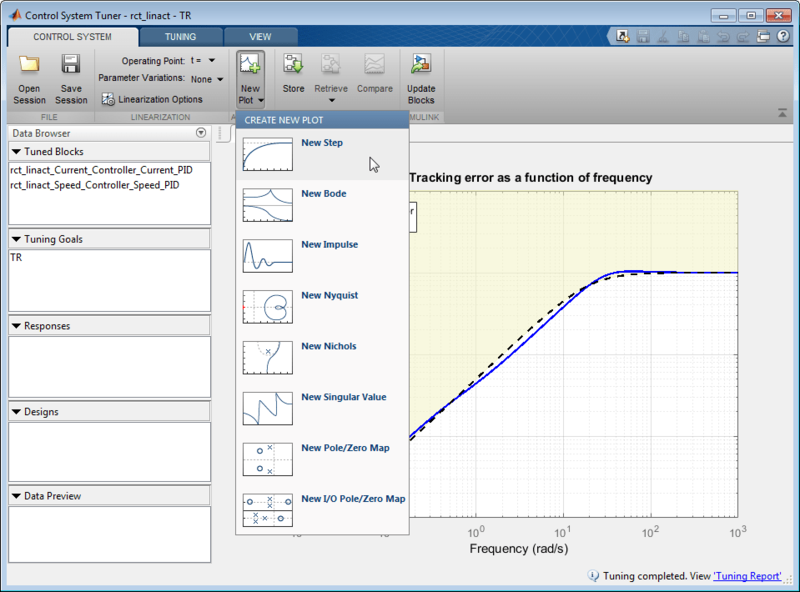 Finally, push the new tuned gain values to the Simulink model by Update Blocks and simulate the response to a 2000 rpm speed demand and 500 N load disturbance. The simulation results appear in Figure 29 and the current controller output is shown in Figure 30. Figure 29: Nonlinear Response of Tuning with Gain Constraints. 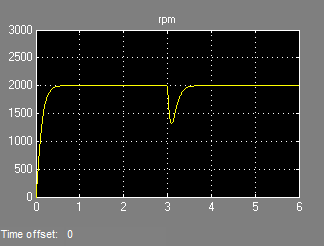 Figure 30: Current Controller Output.